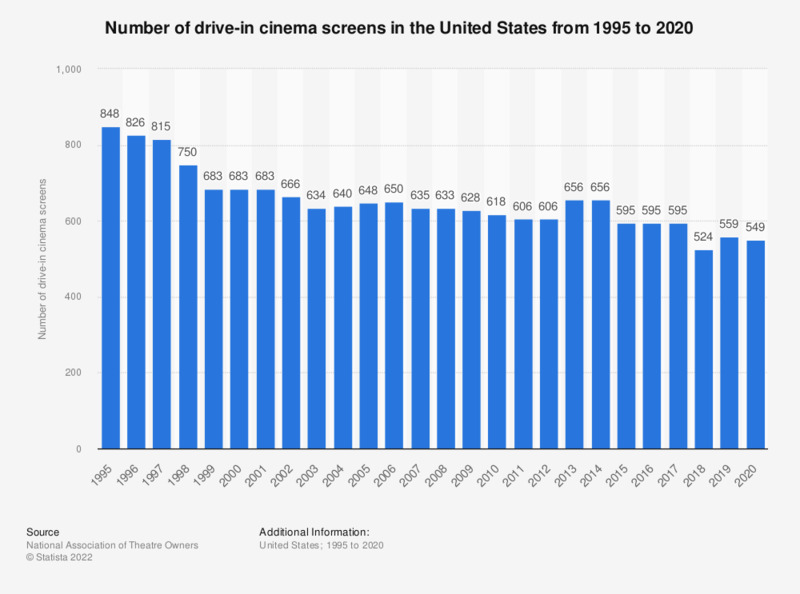 The graph show the number of drive-in cinema screens in the United States from 1995 to 2018. In 1995, there were 848 drive-in cinema sites in the U.S. The figures demonstrated a negative trend from that year forward until 2013, when the number rose slightly to 656 drive-ins. By 2018, this figure stood at 524 screens.